It’s all about folk song, and it’s all in good company! Whether you want a damn good sing in the bar, to hear and share new songs, to improve your voice or to create songs of your own, this is the weekend for you. 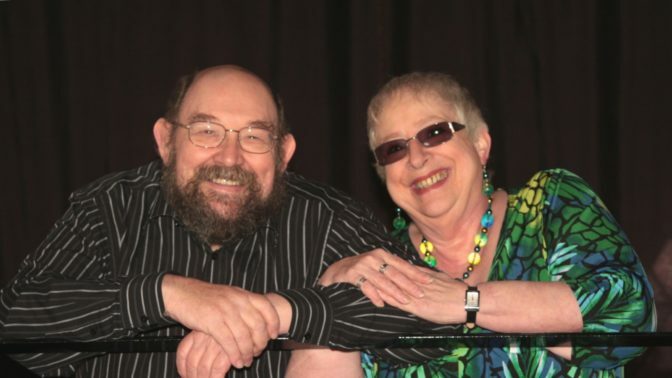 Your hosts and leaders for the weekend are Tom and Barbara Brown, life-long exponents of the song tradition, enthusiastic about encouraging performers and the understanding of the folk tradition. They are joined by guest leaders Benny Graham and Paul Wilson for a relaxed weekend of workshops and sing arounds in the cosy surrounding of Halsway Manor. The course ends with a twilight concert by the course leaders at 5.30pm on Sunday, included in the course fee. There’s also the option to stay on for a Sunday evening Survivors’ Session, supper and B&B if you so wish! This weekend is for singers of all ages (teenagers to pensioners) and abilities, and you’re welcome to bring accompanying instruments if you wish. Benny Graham is maestro of the Tyneside Maritime Chorus, member of The Pitman Poets, and a glorious singer in his own right. Paul Wilson is a musician, singer, songwriter and teacher, well known for his work with the Baring Gould Festival and Wren Music, and one of those polymaths who is always willing to share.